Is asbestos still dangerous? | Crucial Environmental Ltd.
Crucial Environmental Ltd. / Asbestos Concerns / Is asbestos still dangerous? There can be no doubt that asbestos is a very dangerous material. In the UK, two forms of asbestos were banned from use in 1985, and then in 1999 the government took further steps to completely ban asbestos from use in the country. It is nearly 20 years since that ban, and it is the case that some home or business owners don’t understand the material. They may not be sure whether asbestos still represents a danger to them, nor what they should do if they find it on their property. Here we take a look at whether asbestos is still dangerous. You might assume that as asbestos was banned in 1999 that it can no longer be found in the UK. However, the material was only banned from future use, property owners were not required to remove all asbestos from their properties. Therefore, if there is asbestos on your property then that asbestos remains as dangerous today as it ever was. Don’t be lulled into a false sense of security. If you find a material that appears to be asbestos, it may well be. In this case you need to have an asbestos survey carried out. Asbestos is not a material that causes instant symptoms or immediate illness. However, it is responsible for around 4,000 deaths in the UK every year. This is because the material can get into the lungs if breathed in, but it does not produce symptoms or problems for up to 20 years. At this point it is too late to prevent asbestos-related illnesses. The only way to prevent asbestos-related illnesses is to avoid contact with asbestos. Is there anything you can do to protect yourself against asbestos exposure? Well, firstly it is important to establish whether it really is asbestos or not. Many materials look like asbestos but are not actually harmful, and vice-versa, asbestos is often hidden within other materials such as cement or sprayed coatings. You can establish whether it is genuinely asbestos through an asbestos survey, as mentioned earlier. 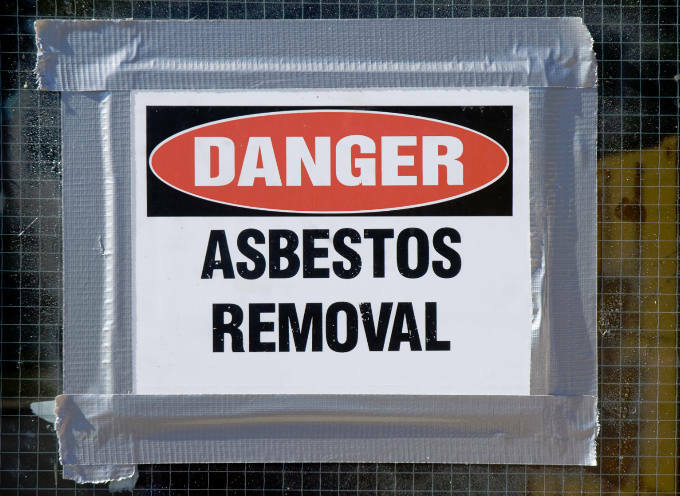 If you find asbestos on your property you should not attempt to remove it unless you have significant experience in carrying out asbestos removal. Typically, this can lead to asbestos fibres becoming airborne, where they are at their most dangerous as they can be breathed in.